Dynamic supply chains are at the heart of your business. You need to get them right. Are your supply chains equipped to compete for a faster, more flexible future? Supply chains are not just part of your business: in many ways they are your business. They are made up of living, active people, and to really get supply chains right you need to capture the dynamism that people can bring to the flow of goods and services, both inside and outside your business. 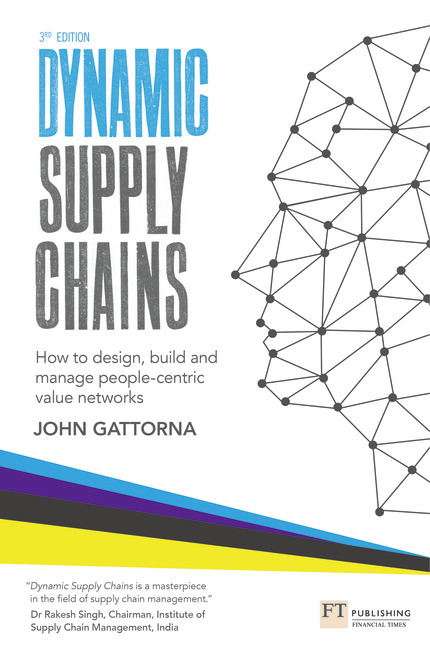 In this third edition of Dynamic Supply Chains, renowned international expert John Gattorna gives you a practical and effective new model for supply chains that will help you get closer to your customers and suppliers, and set your business on a new path to growth. John’s ‘outside-in’ philosophy is based on ‘Design Thinking’ principles, underpinned by business analytics, visualization, and the passion to get things done. This is indeed, supply chains by design. John Gattorna has been working in corporate logistics networks and enterprise supply chains for 30 years. He's one of the most influential contemporary ‘thought leaders’ in the field. Many global companies have adopted his model, with significant results: a doubling of margins; big increases in revenue through increased customer satisfaction; and lower cost-to-serve across the board as a result of identifying and eliminating unnecessary over-servicing.